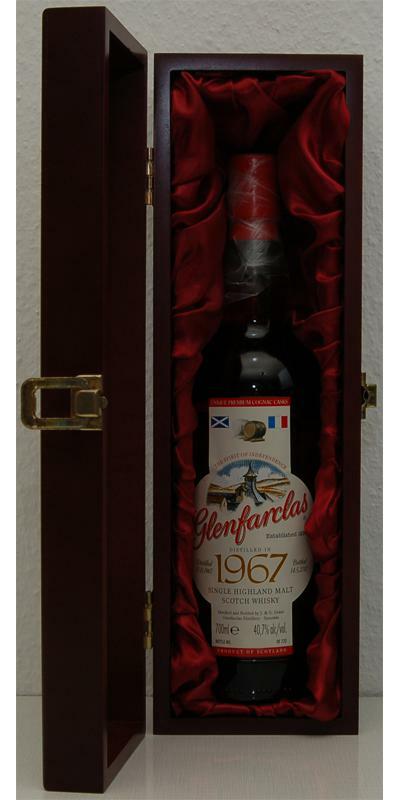 Price Update : Last price was 806 € in Jan.2017 at whiskyauction , so don't take the 1.500 too serious. The average price in the last two years was around 900 €. 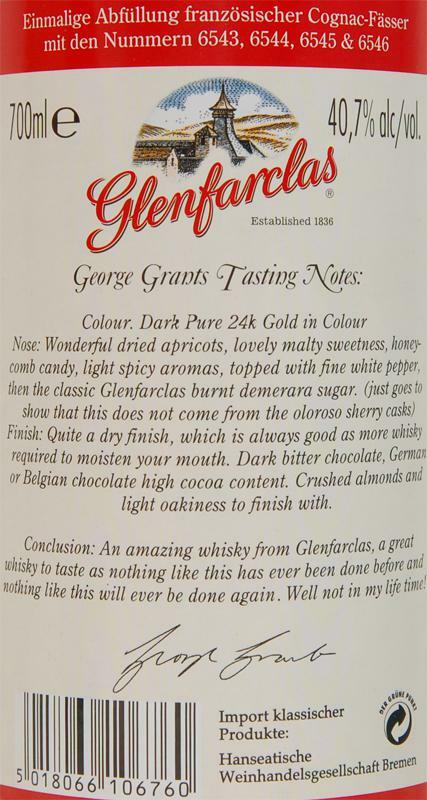 bottlers notes: Color: Dark pure 24k gold. 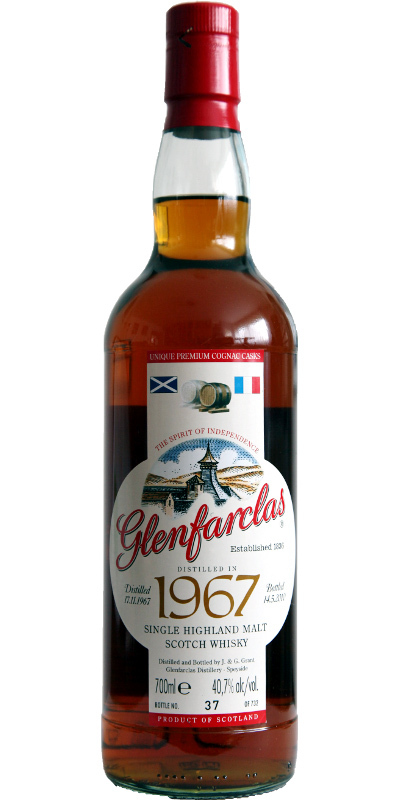 Aroma: Wonderful dried apricots, gorgeous malty sweetness, honeycomb candy, slightly spicy aromas, complemented with fine white pepper, then the classic Glenfarclas burned Demarara sugar (which proves this does not come from Oloroso sherry casks). Taste: Dark bitter chocolate, German or Belgian chocolate with high cocoa content. Chopped almonds and light oak to complete the whole thing. 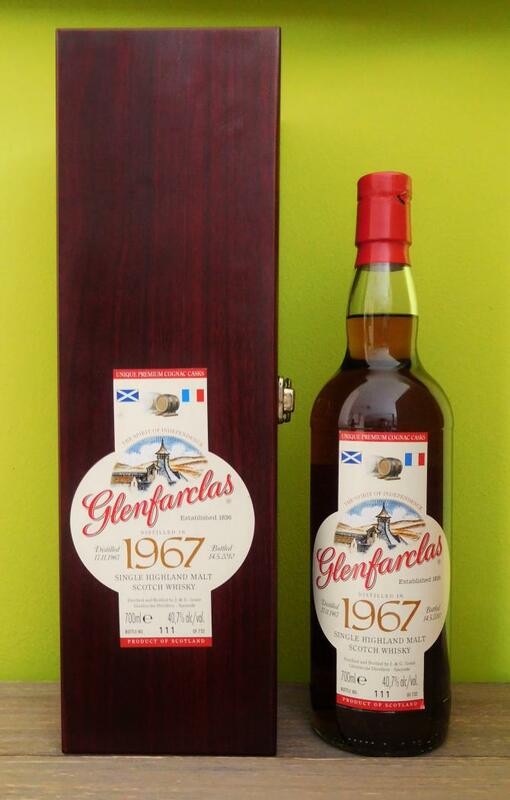 In the end, quite dry, which is always good, because it needs more whisky to moisten the mouth. 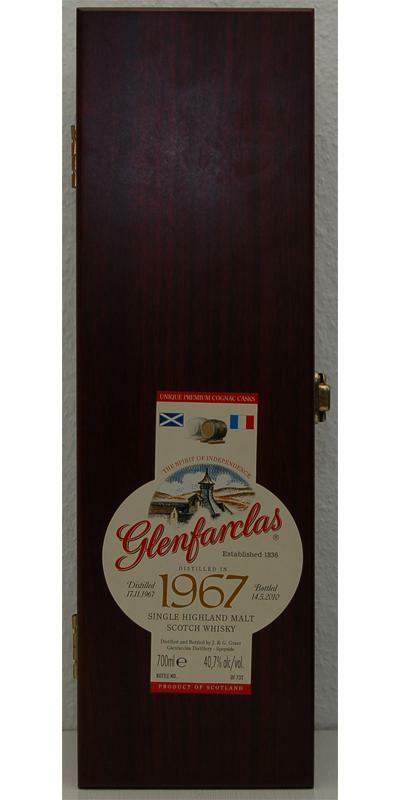 An amazing whisky from Glenfarclas, a great whisky to try, as there's never been anything like it from Glenfarclas and nothing like this will ever be made again. Well not in my life time!